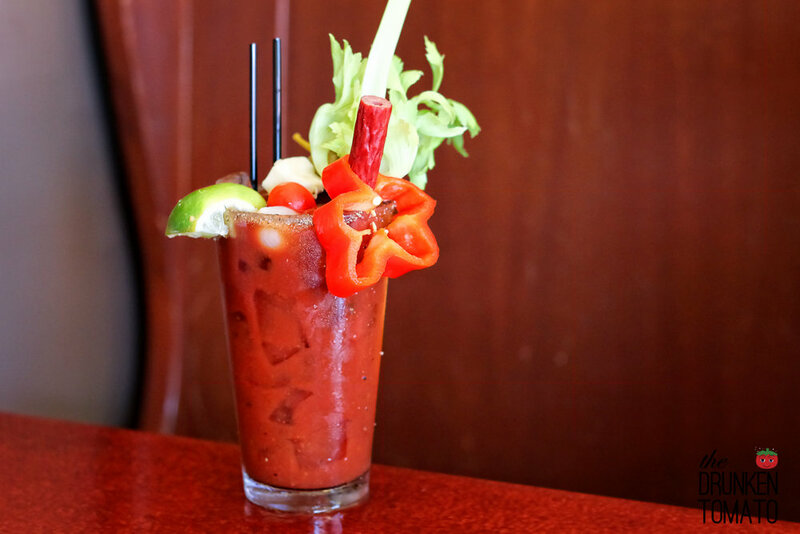 With three different bloody marys to choose from, Blue Star Cafe lets you be as garnish crazy as you want to be. The “Traditional” is a simple, straight forward Demitri’s bloody mary with no frills and just a hint of spice, the “Farmer’s” includes a colorful bouquet of assorted pickled vegetables, and the “Chihuahua” kicks up its garnish game with pickled vegetables, cheese cubes, a big shrimp, and even a meat straw. As for why it’s called the Chihuahua, I can only guess that the massive size of this bloody mary begins to approach the height of a small, yapping dog.